I love rainbows. 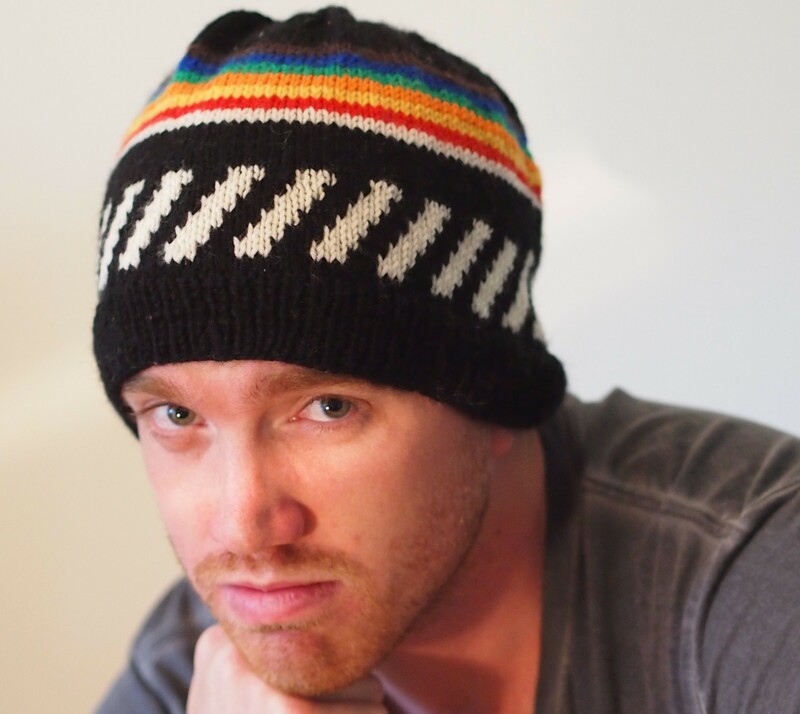 Off the top of my head I remember making stained glass rainbows, knitted rainbows, crocheted rainbows and felted rainbows. Alan once called me a fibre snob…I only like working with natural fibres. This is not actual snobbery, I just don’t like the feel of synthetics through my fingers. Unfortunately, it is sometimes easier to get a rainbow in synthetics than natural. I think both of these hats are made with synthetics. I made them a while ago and don’t remember out of what. 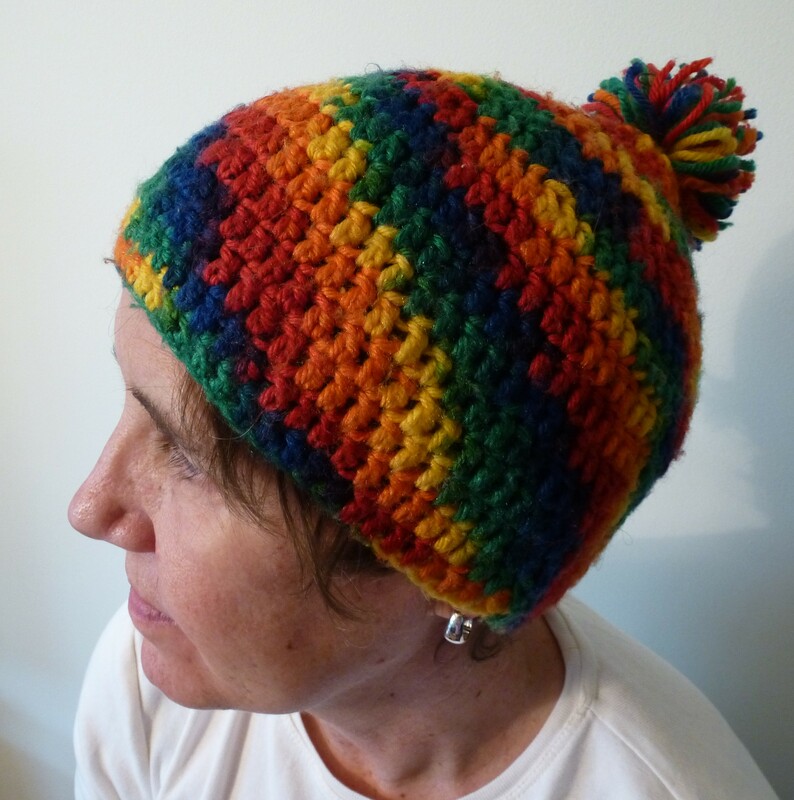 This entry was posted in Uncategorized and tagged knitted hat, knitting, Knitting and Crochet, rainbows on November 9, 2013 by gillianknitter.